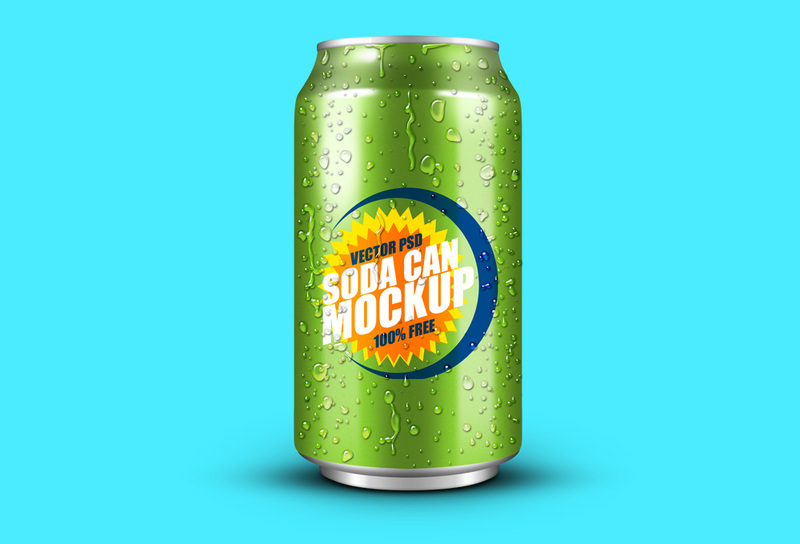 Friends, today’s freebie is a free mockup of soft drink can in 3 colors. In addition to the mockup, the there’s also logo mockup on the soda cans that you can easily edit with the named and colored hidden smart-object layers right on the top and add your own logos or artwork. The cans come in editable PSD layers, mostly vector, so you can easily scale up or down without any trouble on quality. You can even add your own color to the tin, so please explore and browse through all the layers within the PSD files to understand what you can do with it. Even the water drops are vector layers and editable. In short, everything is just customizable.